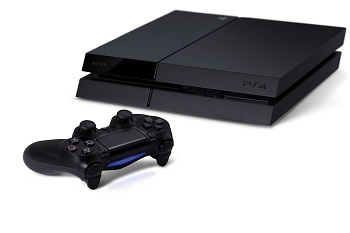 SCEA president Jack Tretton says supply reserves and "phenomenal" production yields will keep PS4s on store shelves. Since the console's reveal there have been some concerns that the PlayStation 4, despite possessing a lower price and having won substantial victories in the realm of public opinion, still might not be able to compete with the Xbox One on account Microsoft's superior production lines. One analyst went so far as to suggest that the Xbox One would outship the PS4 3-to-1. Offering a response to such concerns, SCEA president Jack Tretton revealed in an interview that the company is already in the process of preparing for potential supply shortfalls. "We want to make sure people can buy a PS4 on November 15 and through the holidays," he said. "So, we're holding back some inventory to make sure people will be able to buy one." This reserve of PS4s is also being bolstered by some exceptionally efficient production lines on Sony's part. "Production yields have been phenomenal," said Tretton. We're going to work very hard to make sure that every consumer that wants one gets one." Tretton didn't confirm if these supply reserves were being created worldwide or if they would be limited to North America. Either way, if you're a gamer in the United States, it looks Sony is doing everything it can to make sure it has PS4's on shelves when you walk into the store.